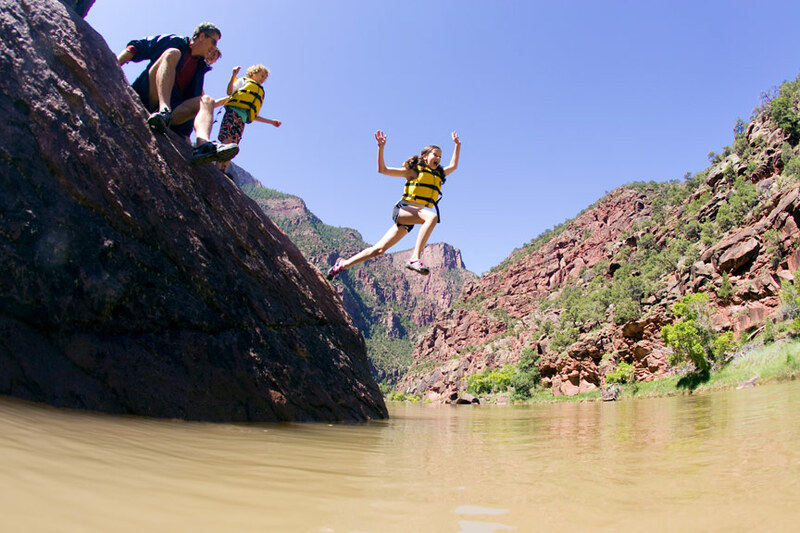 With dinosaur fossils, giant rock playgrounds, fun whitewater and a ton of national parks, a Southwest vacation couldn’t be any more kid-friendly. If you go, add one or all of these activities to your itinerary for the perfect family getaway that your kiddos will be talking about for many years to come. Go dino hunting. Head to the Mill Canyon Dinosaur Trail outside of Moab, Utah and walk in the footsteps of dinosaurs. Well, we don’t recommend actually walking in them (we need to preserve this amazing place! ), but on this short, self-guided hike you can hunt for tracks and fossilized bones from at least four species of dinosaurs, including the Stegosaurus. Wander the red rock wonderland. Arches National Park is home to at least 2,000 known sandstone arches, making a hike here special no matter which trail you choose. 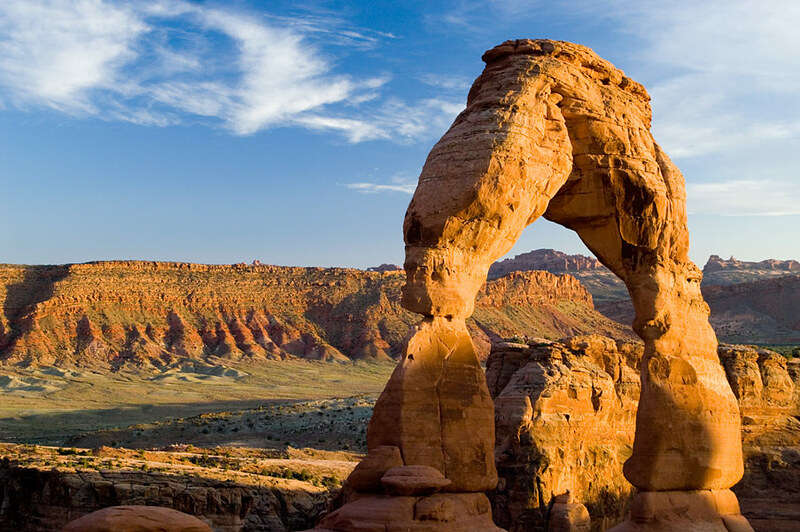 But to maximize your miles, hike the 2-mile roundtrip Devils Garden Trail to Landscape Arch—the longest arch in the world. Want to keep going? Make it a 5-mile hike and continue on to Devils Garden to see five more arches. Explore a slot canyon. Kids will love twisting and climbing their way through the iconic slots of Antelope Canyon near Page, Arizona. Opt for a tour through the lower canyon, which is longer and narrower and offers kids more of an adventure as they descend into a crack in the earth. If your kids can climb stairs, they can do this. Raft through a natural museum. Deep within Dinosaur National Monument you’ll find a catacomb of scarlet slot canyons. 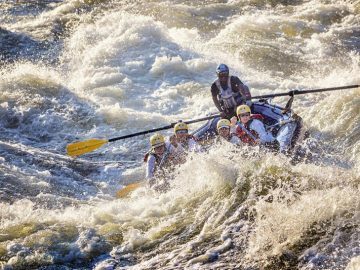 Raft the Green River through the Gates of Lodore with OARS and you’ll take on fun, Class III whitewater through some of the river’s best rapids, explore hidden side canyons for waterfalls, keep your eyes peeled for big horn sheep and camp under the stars on pristine sandy beaches. Spend the day at Mother Nature ’s water park. Known for its natural water slide, Arizona’s Slide Rock State Park makes for a refreshing summer stop in Sedona’s Oak Creek Canyon. Pack a picnic and set up your spot along the smooth red rocks along the banks of the creek where the kids can swim and take turns riding the natural water chute all day long.